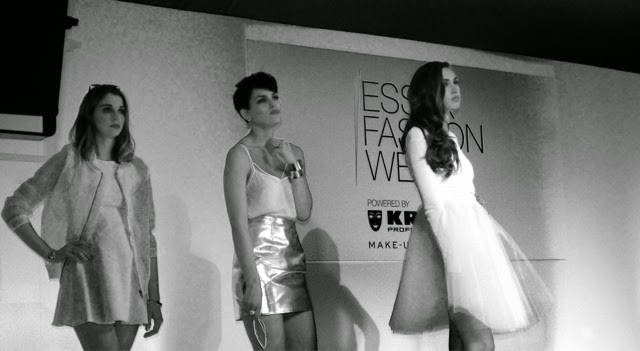 Essex Fashion Week....(yes, it really is a thing!) celebrated its 5th birthday yesterday and I was very kindly invited and given two press passes to review the event! Now, I must admit, the last four years had slipped under my radar....but as I started to research it, I noticed that their was a big media buzz on social networks leading up to the big day. No doubt the instigation for this event is because of the hugely popular and successful reality show, The Only Way Is Essex (TOWIE)....As I'm now an Essex girl (but still a North Londoner at heart!) 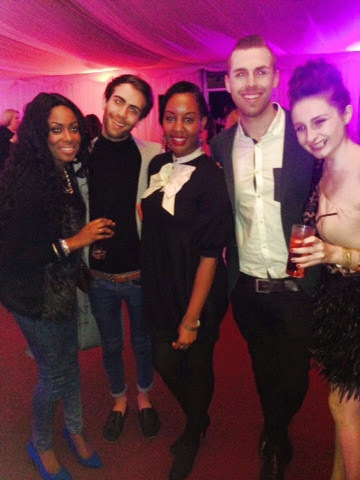 I can gladly say, Wahey to Essex - it was a job done good! 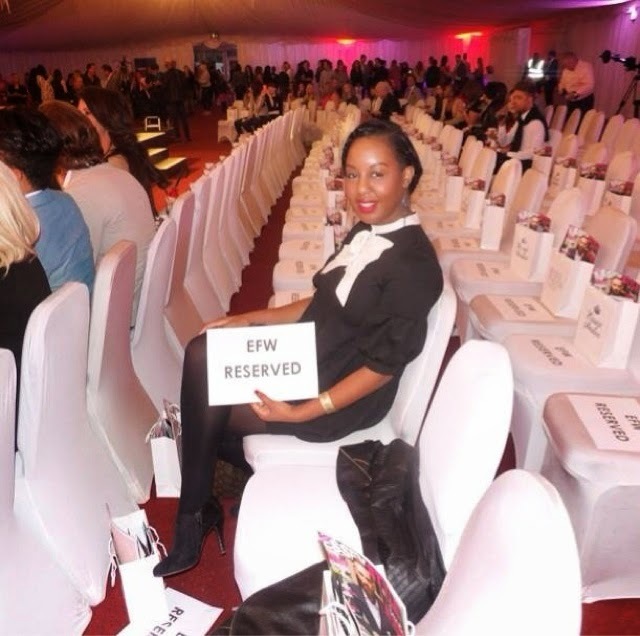 I took my reserved seat...I'm not bold enough yet to sit on the FROW! The event was held in a very grand marquee in the grounds of a country club in Fairlop, Essex. Doors opened at 5pm and we arrived 'fashionable late' (of course) just after 6. We were told the first three rows were reserved for press, bloggers and VIPs so we sat on the second row and had a nosy in our goodie bags. 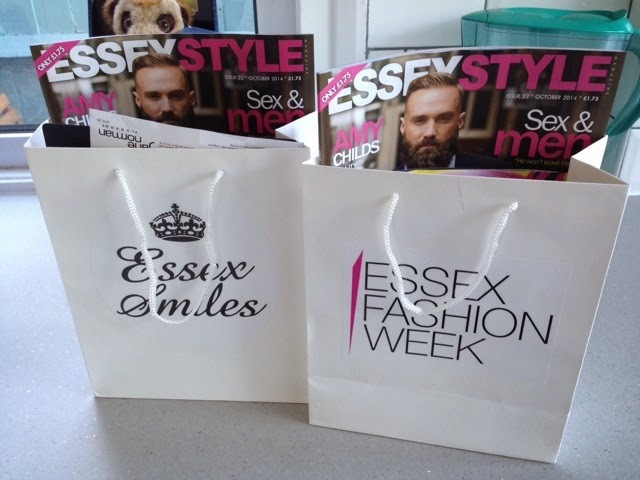 The headline sponsors were: Fake Bake (of course, this is Essex Fashion Week...), Tresor Paris, Kennet Watches, Gyms Kitchen (where we got a delicious, healthy chicken wrap in the interval), Freeport Braintree and Essex Smiles. 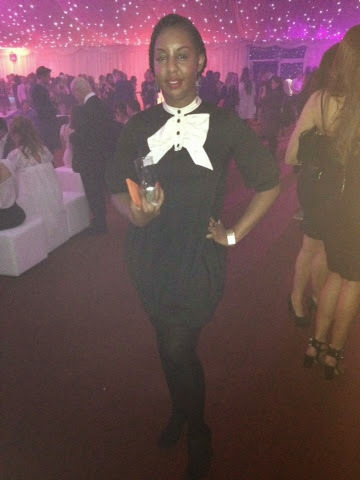 The whole event was powered by Kryolan and in association with Breast Cancer Care. 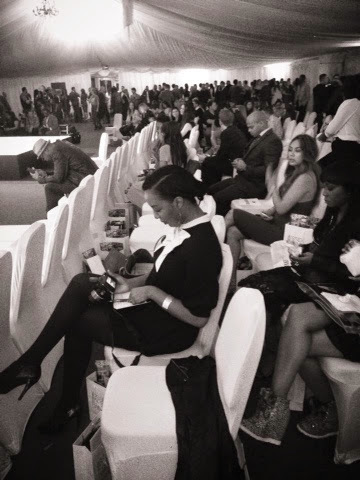 The event championed some local up and coming designers aswell as some more familiar names. Me and my guest, Lauren, doing a selfie....I had my hair up for a change and tried 'milkmaid' style braid for the event....I loved it...so hassle free! 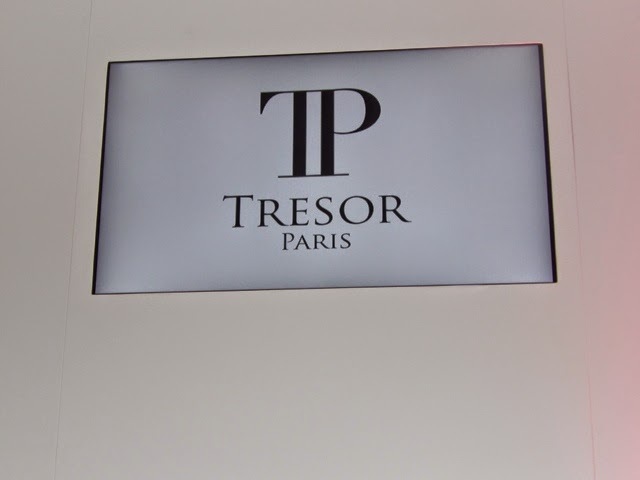 My favourites from the collections were Jane Norman, (as you would expect from this high street brand, there were lots of structured and bodycon dresses), Confetti & Couture - gorgeous wedding attire and lastly Tresor Paris....I do like some sparkle! During the show, we got talking to the guys from the last series of Big Brother as they took the seats in front of us. They were all up for the full Essex experience (!) 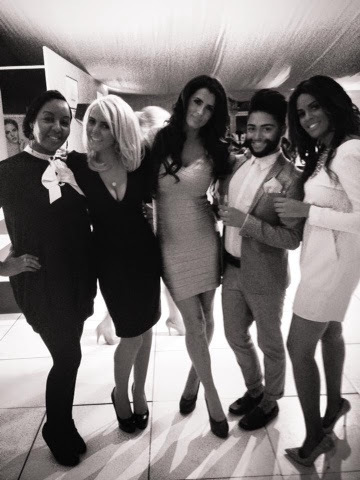 and were really lovely....in particular Bianca who is actually from the Essex area also. After the show....well it was time for the after-party of course and we were asked to wait in the foyer while they transformed the catwalk arena into a club. Colin Francis the DJ who created the best selling album 'Marbella Sessions' was the guest DJ for the night. 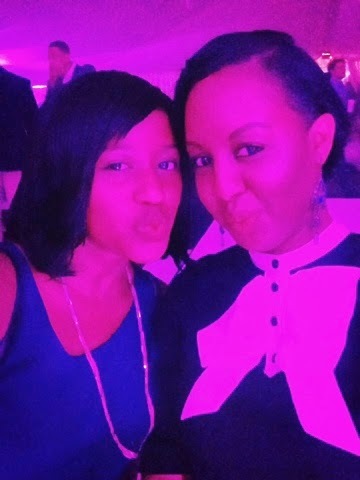 We stayed for a good couple of hours, dancing until our feet hurt and then we called it a night!....Those Essex guys and girls really know how to party!! The covetable 'goodie bag'...best bit's - a Jane Norman statement necklace (one of 2 choices), Molton Brown Bath Oil, and Thornton Chocolates. 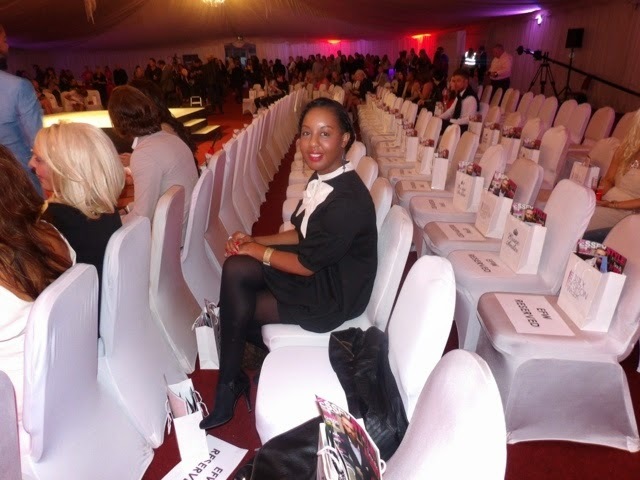 So, what can I say....my first experience as a blogger at a fashion week....I had a fabulous time and well done to the team for organising and putting on a great show. Big thank you to Danielle Bigaignon at Miss Penguin PR for the tickets - See you next year! Found your blog via Instagram...great pictures and content, I've been reading through your archives!